In a world where refugees are looking for new homes, 'What Is Remembered' couldn't have arrived more timely. To get ahead, he had to find out where he had come from. 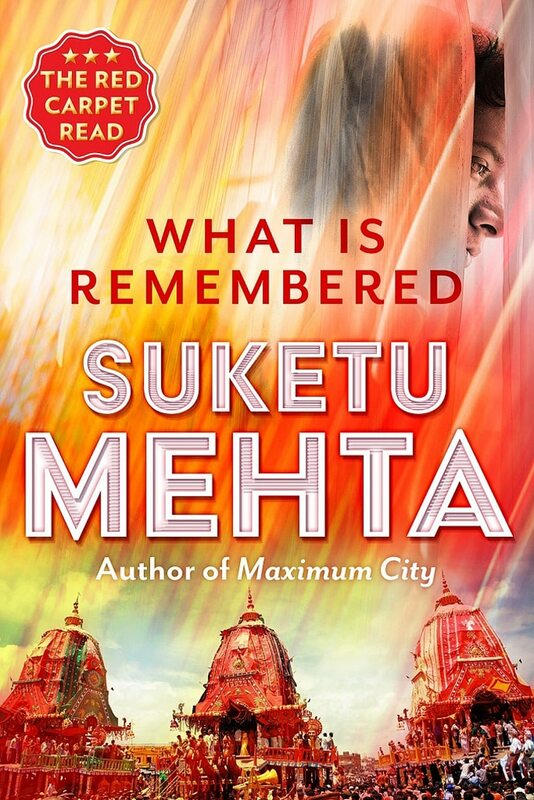 So thinks Mahesh, the protagonist in Suketu Mehta's new novella, What is Remembered, available on Juggernaut app. Mahesh is an NRI who is hurtling towards his success. There is nothing to draw him back, hold him to the ground, except his roots. And it is only when he has to find himself in his new country, while becoming an American citizen, that he remembers his roots. Yes, of course, Mehta is talking of NRIs, especially in America, trying so hard to assimilate that they often erase their own ethnic identities. Mahesh wants to be American, the nation where anything is possible. He looks at the customs at JFK Airport and feels a sense of impatience and embarrassment when he sees ''old people explaining the strange contents of their luggage to the American customs officials. They pulled out saris and kurtas, thick winter clothes made in Kashmir, and bottles of perfumed hair oil. But mostly - for what else can a poor country offer the West? - their luggage was a larder, a storehouse of strong-smelling food. Spices: asafoetida, turmeric, mustard seeds, wrinkled black pods with no name in any European language. Lentil wafers, sago cakes. Homemade brinjal pickles. Chachi's tea masala. Betel nut and rose water. And always, in the hot season, mangoes. Mahesh could see the customs officers, sometimes with the help of dogs, anticipate the hoard of mangoes. 'Sorry, ma'am, you can't bring this in.' 'But it is for my grandchildren.'" He doesn't want to remember his Indian-ness, his childhood, and loses his bearings when he has to spend some time in the very desi Jackson Heights in New Jersey. But Mahesh could as easily be any migrant in any part of the world. Or even in India, trying hard to unlearn the old and learn the new ways of blending in, of being, of becoming invisible in the big city. India pulls Mahesh back with its memories, pleasant and unpleasant. India's tastes, touch, smells, sounds, sights are everywhere in Jackson Heights, the Middle World, the world where the global citizen waits as he prepares himself for the First World and forgets his Third World origins. But, as he points out, History has caught up with this country America and as you flee Too Much History you build up more History. Indeed in Trump's America, the melting pot itself is being transformed. Will the Maheshs of the world, fleeing from their pasts, find solace in a world of high walls for Mexicans and ban on Muslims? Regardless of who wins the presidential elections between Hillary Clinton and Donald Trump, the ugliness against immigrants will have some trouble getting bottled again. It's just as well that Mehta's Mahesh is looking for a way back home. Because as the world becomes more global, as Brexit and Donald Trump have shown us, the national sentiment is becoming increasingly xenophobic. If we don't know who we are, we won't know where we're going.